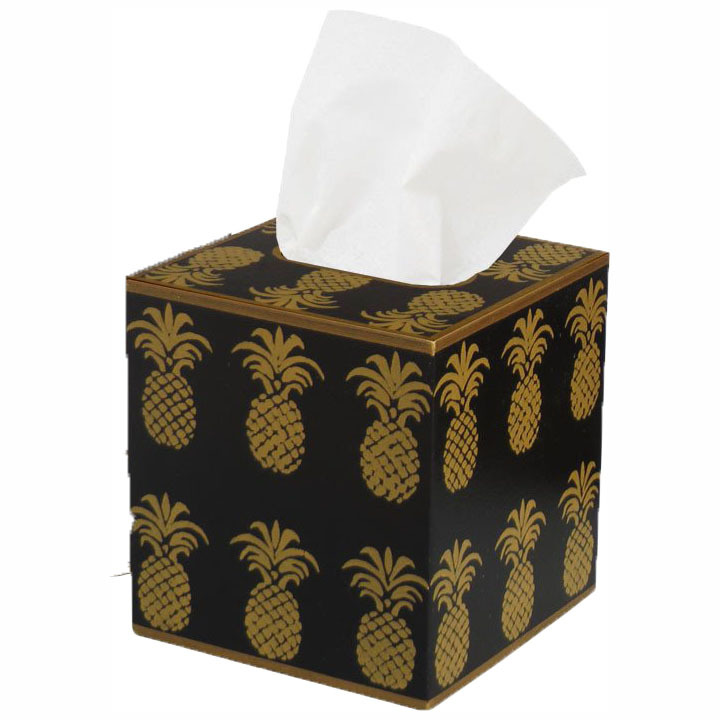 Turn an ordinary tissue box into a decorative tissue box with a decorative tissue box cover. 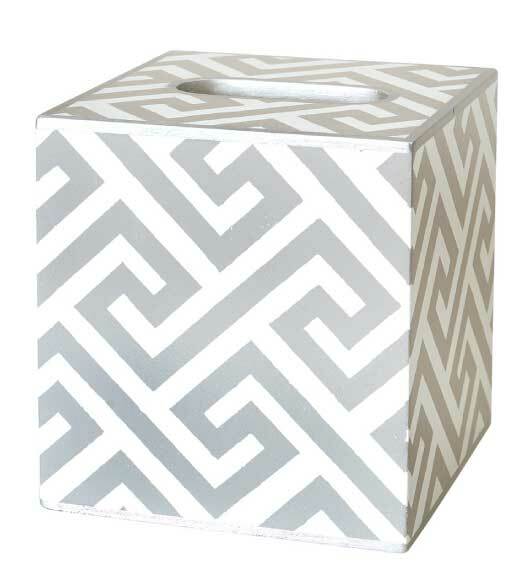 Why have a card board tissue box cover when you can have a chic Nantucket basket weave wicker tissue box cover or a hand painted wooden one? 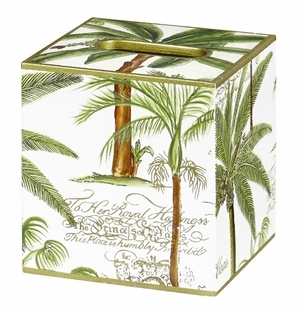 You can add French joie de vivre with a wooden tissue box cover hand painted with a Napoleonic bee. 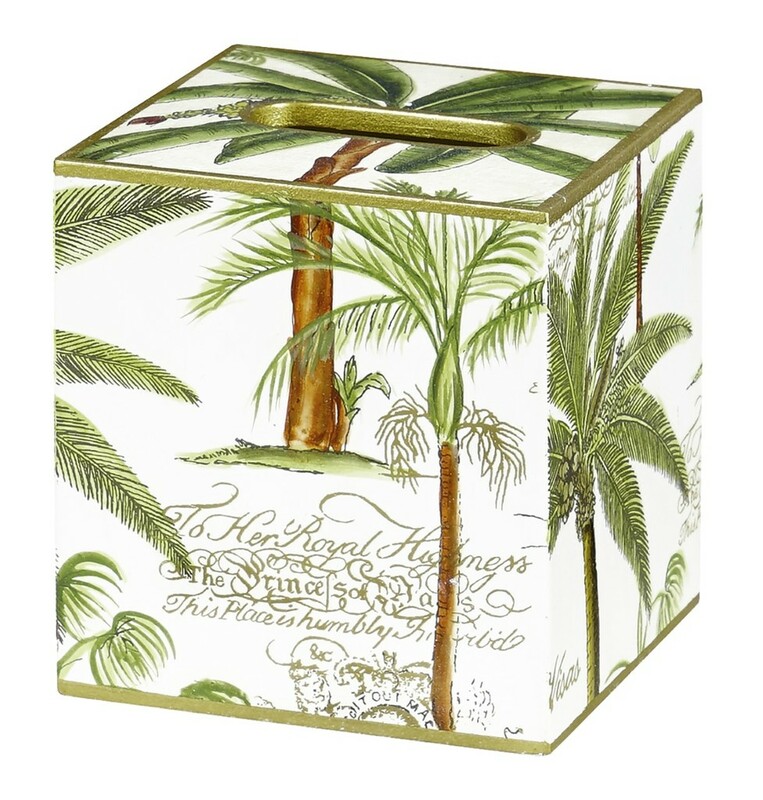 You can bring a garden motif into your bathroom decor with a tulip design hand painted tissue box cover. For more nautical decor or a beach house special, choose a blue and white design. Coordinate your shower curtains and bath mats to your tissue box cover for a finished look. See our coordinating trash cans to make a bathroom decor set. Choose shower curtains and bath mats to coordinate from our wide selection. Wooden, covers standard tissue box. Add instant personality to your bathroom decor with decorative bathroom accessories you�ve selected. A tissue box holder is a great way to do this. 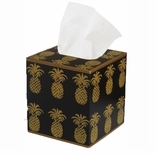 We�ve got plenty of tissue box cover designs to choose from. They fit right over most cardboard boutique tissue boxes. It could not be easier. No handyman required. 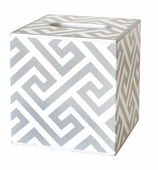 Whether it�s a wooden tissue box holder, or a wicker tissue box holder, you�ve added a decorative look to bathroom decor. Every time you reach for a tissue, you�ll see it. It�s a bathroom accessory that gets used. Add a matching trash can and you are really decorating with style.